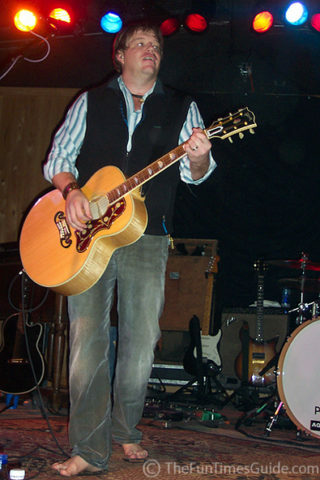 Singer-songwriter Pat Green enjoys rocking out while barefoot. I’ve heard that many singers and musicians feel they can sing or play better when they’re barefoot on stage. I guess it enables them to be “one” with the music. This is a photo of Pat Green taken at The Trap in Nashville, Tennessee.